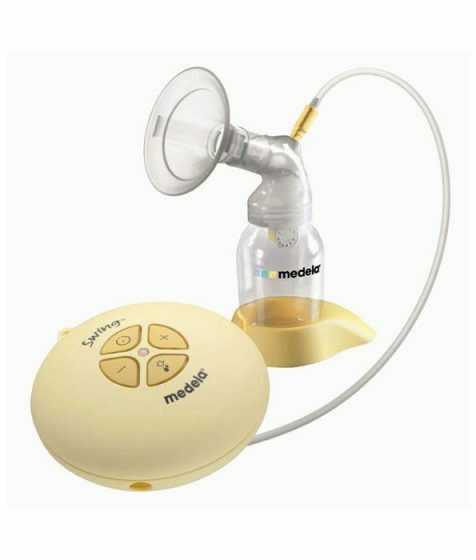 Introducing the Ameda Platinum Breast Pump, the perfect combination of advanced technology. 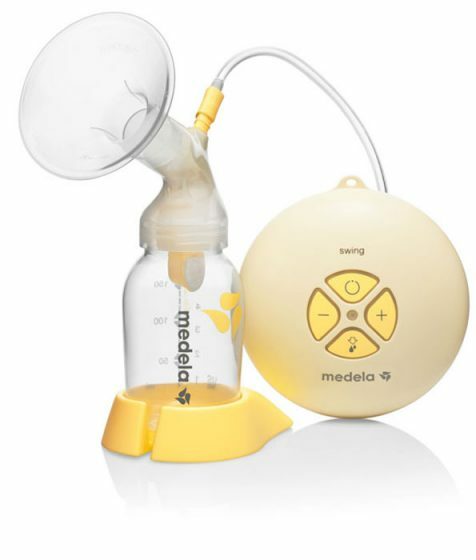 Introducing the Ameda Platinum Breast Pump, the perfect combination of advanced technology. 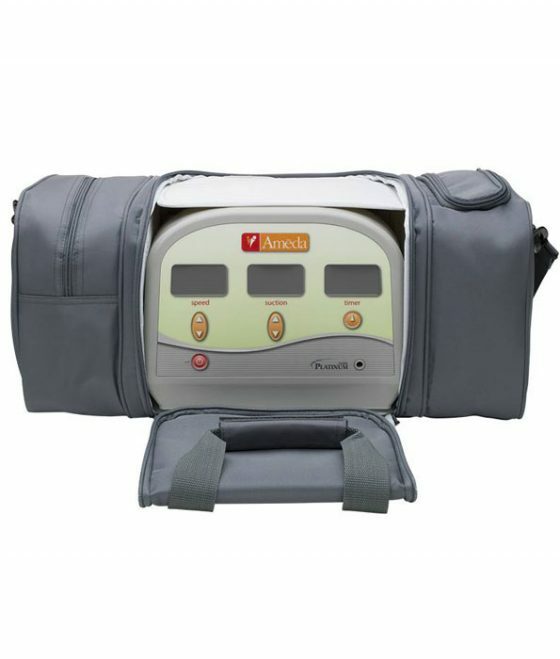 Superbly efficient, it is the one-of-a-kind, customized solution for both clinicians and mothers. 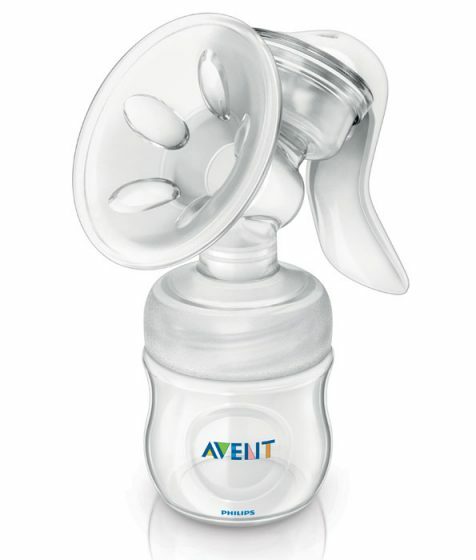 To achieve its comfortable, smooth feel, the Ameda Platinum breast pump uses an internal rotating piston. This durable mechanism is similar to the piston used in the original Ameda SMB™ pump. The piston creates a waveform that represents how suction builds, peaks, and releases during pumping. This rhythmic waveform has been shown to be the most effective for milk production for preterm and full term infants. 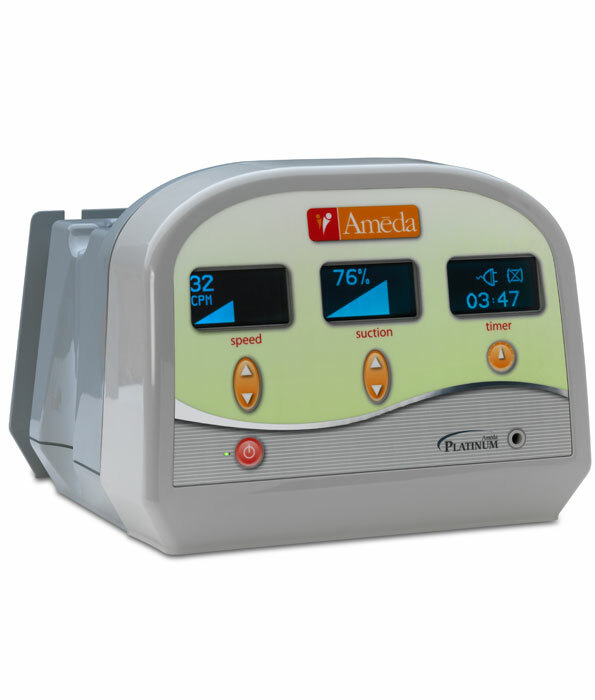 Only found in the Ameda Platinum pump, VacuSense™ Technology provides consistent suction during single and dual pumping and varying altitudes. 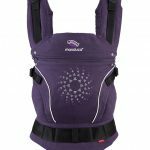 With independent controls, mothers can customize their pump settings to their own body’s response and achieve multi-phase pumping. Babies change sucking speed to achieve multiple milk ejections during a breastfeeding session. 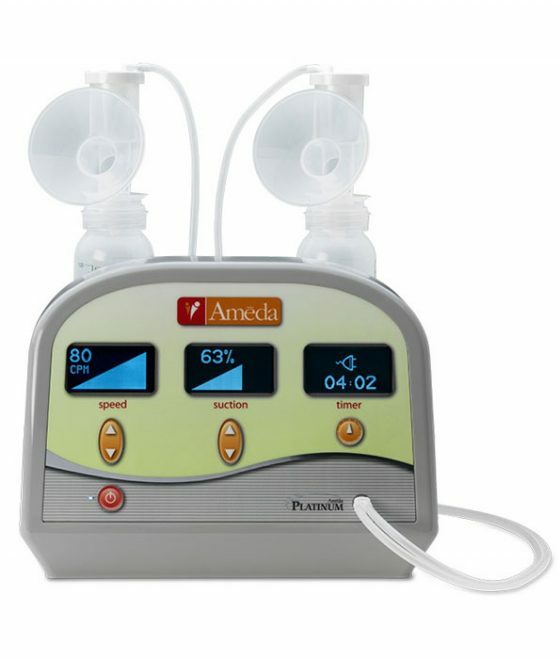 Using the Ameda Platinum pump, mothers can also adjust their speed higher to help trigger multiple milk ejections and lower to help drain the breast several times while pumping. Also, research has shown pumping at your highest comfortable suction setting yields more milk. The Ameda Platinum lets mothers adjust suction during a pumping session. 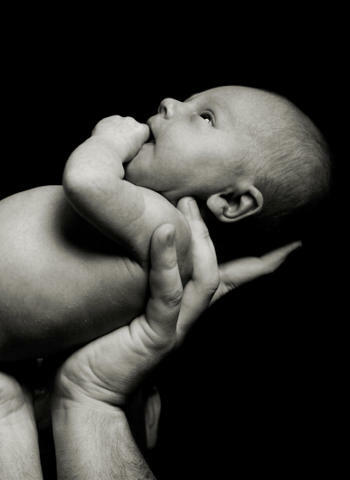 This flexibility allows a mother to pump at her own personal comfort level. This precision offers over 5,000 unique setting combinations. 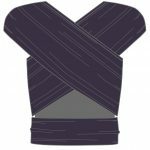 Our Proven Airlock Protection™ is the world’s only proven protective barrier to help protect breast milk and the baby from bacteria, mold and viruses while pumping. 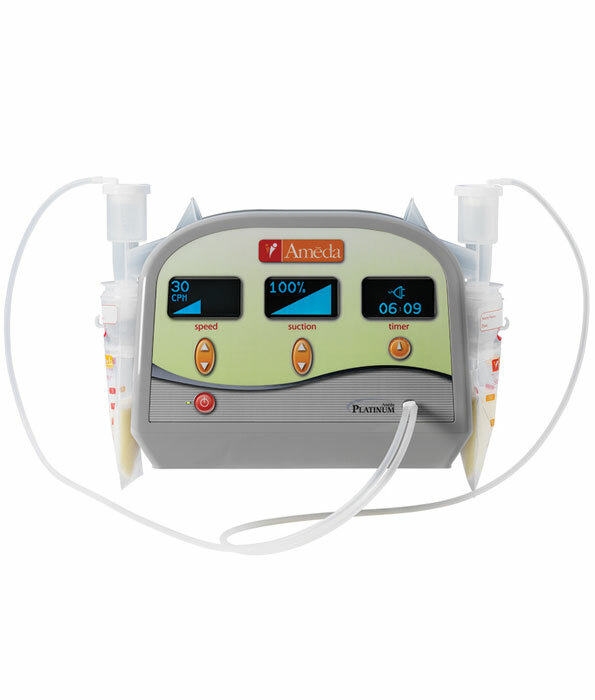 The Ameda Platinum Pump is designed and tested for durability in clinical settings. 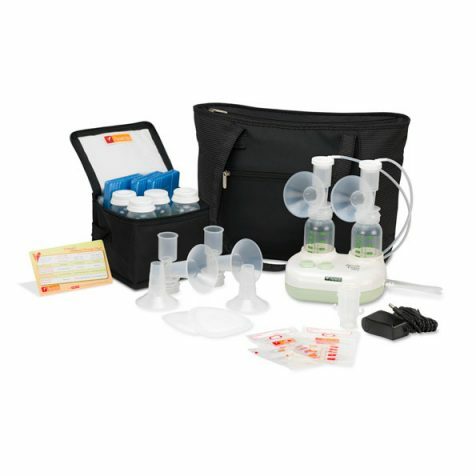 The Ameda Platinum Breast Pump uses the same preassembled collection kit as all other Ameda electric breast pumps. Keep inventory and training simple by using the same kit for all Ameda electric pumps. 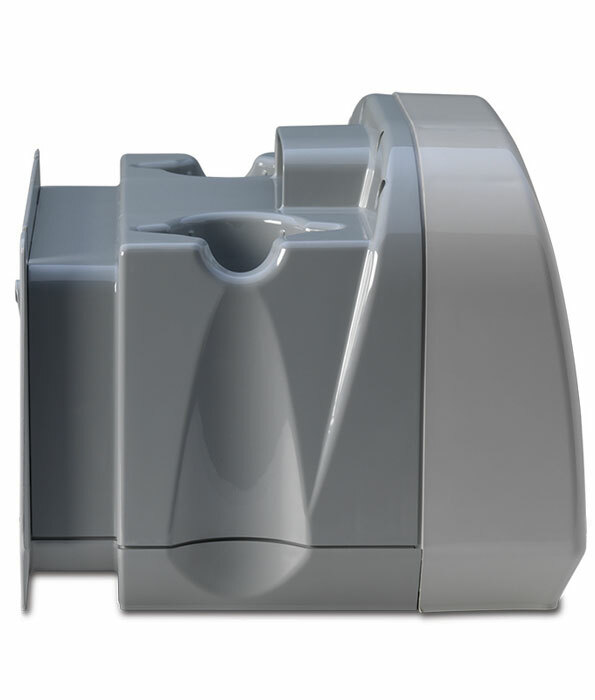 For easy trouble-shooting, a Clear Message Display indicates if service is required or if the HygieniKit ® Milk Collection System is not properly attached. With three Easy-to-Read LCD Screens, moms can return to their own preferred settings day and night. A built-in timer makes following pumping schedules and protocols easier. 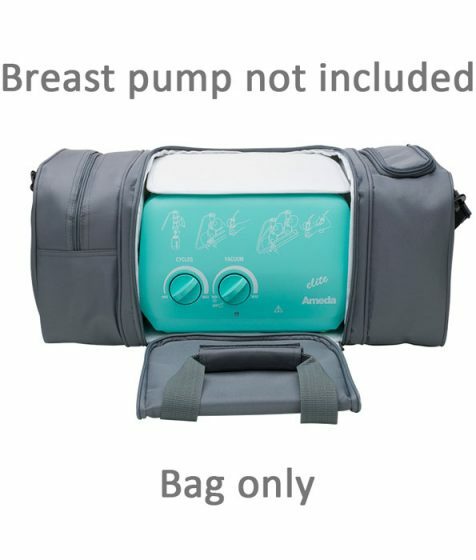 The pump automatically shuts off after 60 minutes. The Soft Touch Control Panel has an intuitive design with easy to locate settings and power buttons. 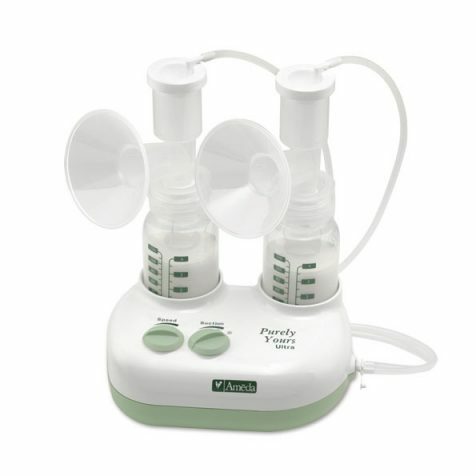 The suction control is displayed in percentage units of 1-100% rather than mmHg. Graphical elements change as mothers increase or decrease their speed or suction setting. Built-in Dual Bottle Holders securely hold most standard bottles upright on top of the pump. For milk bags or smaller containers, the breast flange can be placed in the bottle holders to help prevent spills.